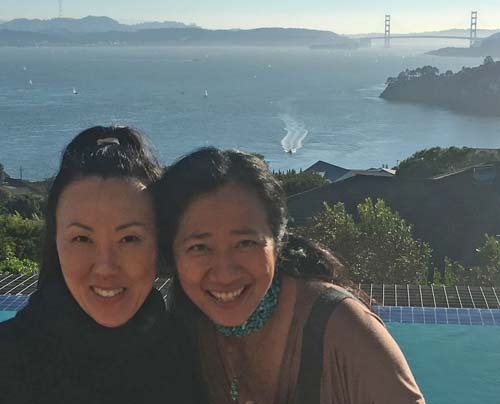 On 11/13/2016 Brian and Katherine drove to 1896 Mountain View Dr, Tiburon, CA to say goodbye to Ayako who is leaving us for a 9 month sabbatical in London. Below are a few pictures, click on any one for a larger version. The first picture below is Katherine (on the left) and Ayako on the right. 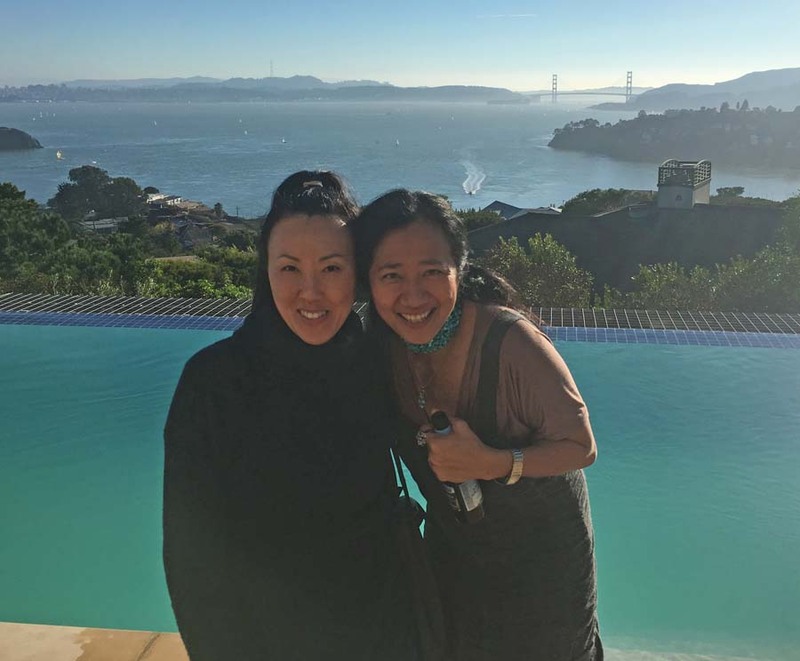 The San Francisco Bay and Golden Gate Bridge is in the background. The going away party was at a beautiful house in Tiburon with amazing views of San Francisco, San Francisco Bay, and the Golden Gate Bridge. Below is a panorama of the "back yard area". Use your horizontal scroll bar to show it left and right. 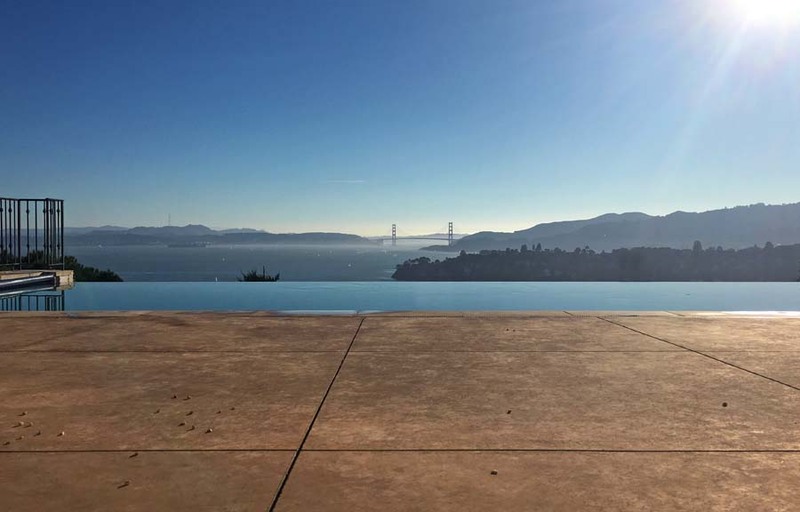 A random picture of the infinity pool looking towards the Golden Gate Bridge. Another picture of the same thing, just a different angle. 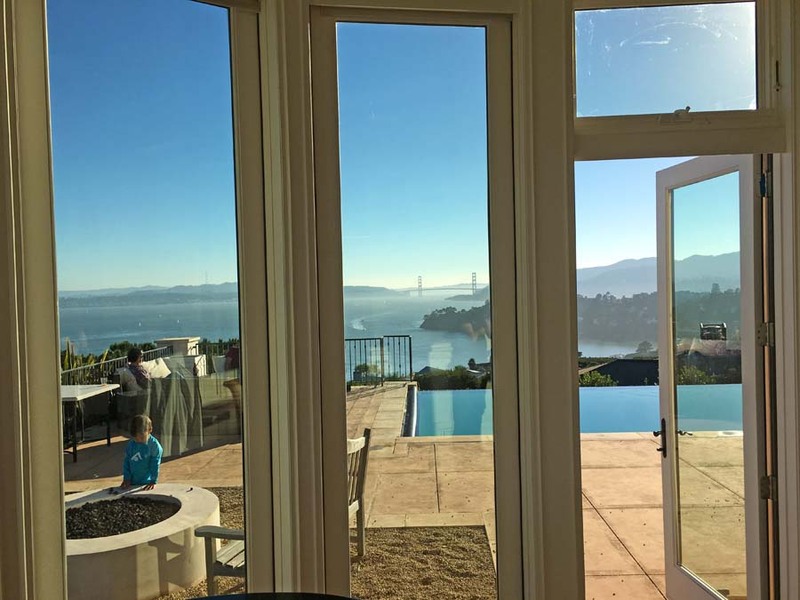 What the view looks like from INSIDE this home. 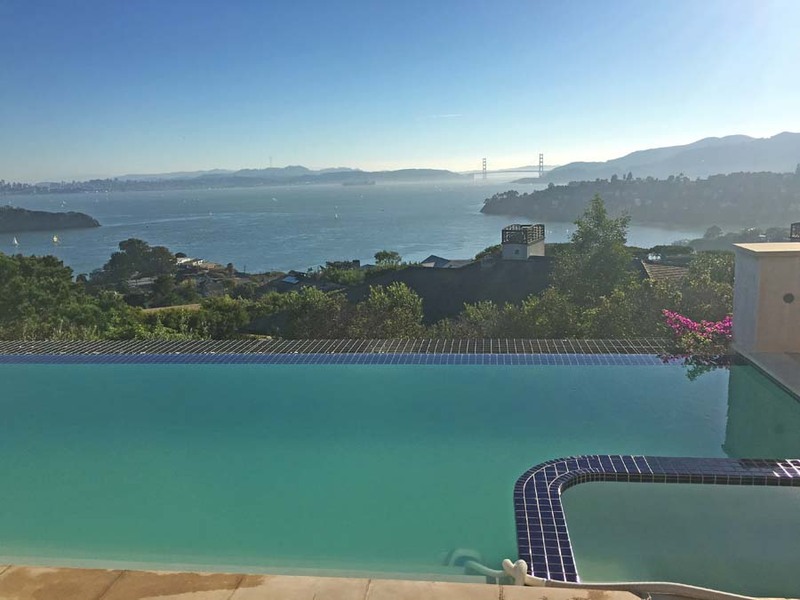 Below is a panorama of the inside of the living room in this home in Tiburon.